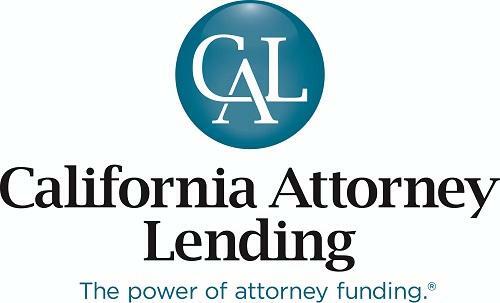 California Attorney Lending (CAL) is an invaluable resource when it comes to securing the capital needed to meet various law firm related expenses. CAL offers working capital credit lines up to $5 million+ exclusively to plaintiffs' counsel based upon the total value of a litigator's contingent fee case portfolio. Unlike a bank, CAL's unique ability to assess case recoveries allows them to grant loans far in excess of personal assets. Proceeds may be used for all law firm expenses, including case costs, experts, advertising, practice expansion and general overhead. The company was founded and run by lawyers, so they truly understand an attorney's need for immediate, significant results. CAL is the only law firm financing company exclusively endorsed by CAOC as well as AAJ, so you know you’re dealing with a reputable organization. Today, CAL is the largest provider of attorney funding for litigators in California. Our parent company Global Financial Partners has amassed a vast network of lawyers through decades of client relationships in the personal injury industry. These strong relationships allowed us at Global Client Funding to experience amazing growth in a very short period, quickly becoming one of the largest companies in the Legal Funding community. We have been committed to strengthening our relationships, building better alliances and have negotiated more contracts with hospitals, surgical centers, and doctors. We have one of the most expansive physician network databases that allow us to streamline your client’s needs, whatever they may be. Global Client Funding has absolutely no fees/ No Fee Pledge, simple interest rates (never compounding), in-house underwriting team/streamline vetting, and the industry’s first private attorney portal designed to produce the quickest funding process in the industry. Our attorney-focused, plaintiff funding platforms were designed to allow you to focus one thing, the case, giving you the best chance to provide your clients the largest case settlement possible. Advocate Capital, Inc. is a team of business people who are passionate about helping plaintiff attorneys get even better results for their clients, mainly through their AdvoTrac® Case Expense Funding Service. As Seventh Amendment advocates, they are always looking for ways to encourage, educate and support their law firm clients as they pursue justice on their clients’ behalf. Archer provides claims administration and litigation support services to firms nationwide. Archer was recently formed following the merger of Shapiro Settlement Solutions and The Settlement Alliance’s Litigation Benefits Group, which have separately provided proven results while maintaining client service as a primary focus and top priority. As a merged company, Archer provides firms with a one-stop, comprehensive solution to claims administration including medical record review, special master services, lien resolution, bankruptcy and probate coordination, qualified settlement fund administration, and distributions to claimants, law firms, and lienholders. As a highly experienced structure settlement professional, Melissa Baldwin is committed to ensuring financial recovery for injured plaintiffs through unparalleled dedication to her clients. With offices located in both Northern and Southern California, Melissa and her team focus on the immediate and long-term financial needs of the injured person, tailoring structured annuities to address those concerns and providing financial peace of mind. Specializing in physical injury cases related to wrongful death, medical malpractice, personal injury, and product liability, Melissa has an extensive network of settlement resources throughout California, including Trust Attorneys, Life Care Planners, Medicare Set Aside Specialists, and Trust Administrators. Her personal attention to the injured party and ability to coordinate all the moving parts of a case makes her a trusted partner in settlement negotiations. Melissa understands that making important financial decisions is difficult under the best circumstances, and even more complicated when dealing with an injury or the death of a family member. With all the aspects involved in a settlement, finding a trusted business partner who truly has your clients’ best interests in mind is invaluable. You can be confident that Melissa Baldwin Settlements is the right choice. Courtroom View Network (CVN) is the industry leader in delivering live and on-demand video of high-stakes civil litigation. Users can simultaneously review exhibits and evidence while watching testimony. CVN has partnered with CAOC to provide CAOC members free access to our curated video subscription: CVN Essentials. With CVN Essentials, we've distilled over 30,000 hours of the most compelling courtroom video from around the country to make CVN content more accessible than ever. You can watch and learn from HUNDREDS of video clips curated from our video libraries, and watch key moments from the most important and interesting trials around the country. Sign up on our website. We are pleased to be in partnership with the Consumer Attorneys of California, providing its members with exceptional “private bank” services. Esquire Bank is a full-service, federally chartered savings bank, founded by lawyers who believe in supporting law professionals with specialized financial products and unmatched client service throughout the United States. being a sponsor and business partner for local, regional, state and national associations that support attorneys through various programs and research tools. At HMR Funding, LLC, our personal injury funding programs are designed to alleviate the financial concerns of plaintiff attorneys and their clients who lack the resources to access quality healthcare and sometimes even provide for their family’s basic need of food and shelter. We help uninsured or underinsured persons pay for the quality medical care they may require due to injuries sustained in an accident through no fault of their own on a non-recourse basis. KAAS SETTLEMENT CONSULTING handles all aspects of finalizing your settlement so that the financial transition is seamless and the attorney's time is minimized. We have worked on thousands of personal injury, wrongful death and workers’ compensation cases. We offer planning for non-injury cases, including employment, harassment, class actions, defamation, business or property sales and much more. KAAS financial planning services include structured settlement annuities, attorney fee deferrals, government benefit preservation, mass tort settlement resolution and QSF administration. We also assist in lien resolution, Medicare set-asides, trust services and tax planning. KAAS is renowned for effectively communicating the financial advantages of a structure so claimants can easily understand, regardless of their financial background. Our planners travel at no cost to the client or your firm and are licensed in all 50 states. Contact: Tanis L. Kelly, Esq. Tanis Kelly and Sage Settlement Consulting offer comprehensive settlement services for plaintiff attorneys and their clients. As the nation’s largest plaintiff-focused settlement planning firm, Sage provides innovative solutions for trusts and government benefits planning, structured settlement and market-based annuities, and attorney fee deferrals. Sage also assist with Medicare Set-Asides, lien resolution, qualified settlement funds, and investment solutions for claimants and attorneys. In her past experience as a litigation attorney, Tanis saw firsthand how vital it was to partner with a trusted settlement professional to maximize her clients’ settlements. Attorneys can rely upon her to attend mediations, educate plaintiffs on their settlement options, and prepare customized settlement plans. For assistance with your next case, contact Tanis today. Morgan Stanley provides brokerage, investment and financial services to hundreds of thousands of individual investors. We apply our expertise in serving institutional clients to create new opportunities for people to achieve their personal financial goals. Morgan Stanley has one of the largest retail brokerage networks, with numerous worldwide representatives and retail locations. Our services are tailored to each clients’ investment objectives, risk tolerance, and financial needs. Products include mutual funds, stocks, bonds, and alternative investments where appropriate, as well as banking, mortgages, insurance and annuities, including structured settlements. 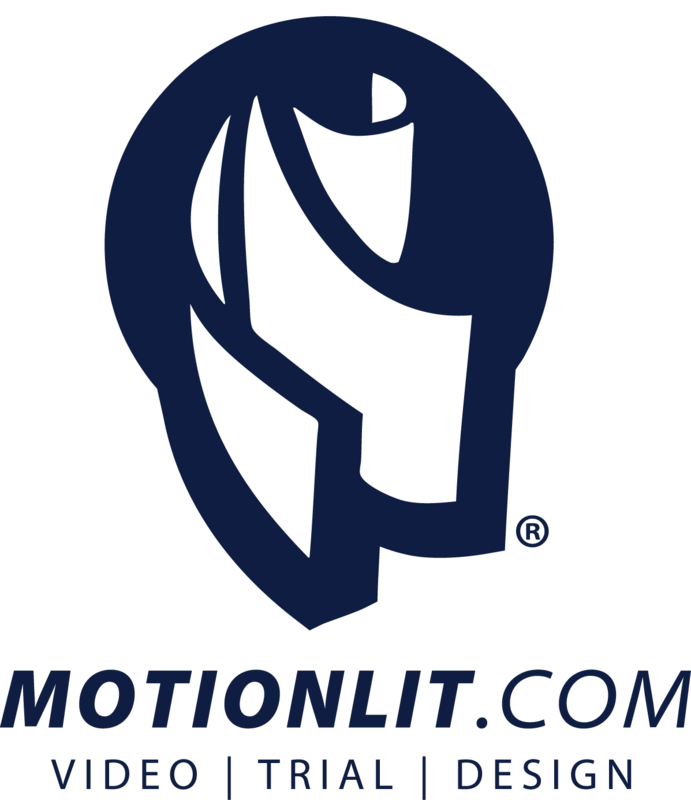 MotionLit provides video production and litigation support services, specializing in Day-in-the-Life videos, Demand Package Videos, 3D Accident Reconstruction Animations, and Trial Tech Support services for your settlement demand and courtroom presentation needs. Ringler: Valdez Team & Offices of Noah S. A. Schwartz are Certified Structured Settlement Consultants with Ringler, the oldest and largest structured settlement firm in the nation. With over 75 years of combined experience, they have helped thousands of plaintiffs and plaintiff attorneys secure their financial future through the use of a structured settlement. They are well equipped to navigate through complex catastrophic cases involving Medicare Set-Asides, Special Needs Trusts, Conservatorships/Guardianships, Qualified Settlement Funds, multi-plaintiff cases, and other unique matters. As skilled consultants with a strong track record of successful outcomes, they offer highly personalized service to our clients. Ringler: Valdez Team & Offices of Noah S. A. Schwartz are both reliable, trustworthy and committed to bringing superior value to each case and client. Their team handles cases throughout California and have a Spanish-English Bilingual staff. They are prepared to walk your clients through each step of the settlement process before and after. Please keep them in mind when you are looking to structure a settlement. Who We Are: Rockpoint Legal Funding is the nation’s fastest, easiest and most transparent funding company providing Non Recourse, Non-Compounding Funding for Medical and Plaintiff funding to handle all out-of-pocket medical costs and living expenses for injured plaintiffs. What We Do: Rockpoint works with law firms to deliver non-recourse funding to plaintiffs involved in personal injury claims. We also provide Non-recourse Funding to Medical Providers who provide care to plaintiffs involved in personal injury claims. What Makes Us Different: Rockpoint is commited to being fast, easy, and transparent. Rockpoint’s funding platform is designed to streamline the funding process for attorneys and their staff. Fundings are typically approved within an hour or less. Rockpoint takes the initiative in handling ALL customer service needs for plaintiffs, including the logistics of signing contracts and administering payments. Rockpoint also offers flat-rate pricing with ABSOLUTELY NO compound interest, administrative or hidden fees, and always makes certain that all parties are aware of the cost before funding. Rockpoint is pleased to be endorsed by CAOC (Consumer Attorneys of California). With Medical Funding, Rockpoint helps your clients receive necessary medical treatment in instances where your clients may not have health insurance or when they want to access healthcare providers outside of their insurance network. Medical funding can also be utilized for surgeries, deductibles, medical devices, hardware, consultations, and any out-of-pocket medical costs. Rockpoint's bottom line is simple. We are service-oriented and straight forward with an emphasis on being fast, easy, and transparent. Strategic Capital is a specialty finance company founded in 1994 with a focus on providing present-value liquidity for unusual or illiquid payment streams. To date, the company has successfully originated over $1.5 billion in future payments. Areas of Expertise include post-settlement financial solutions for the Legal Community with value-add products for Attorneys and their past clients to enable access to Structured Attorney Fees and Structured Settlements for their more immediate needs. Thompson Flanagan is a premier insurance brokerage specializing in placing legal malpractice insurance for 500+ law firms nationally. 220 of which are 100% plaintiff law firms. Our expertise and large volume of business enable us to quickly evaluate your insurance placement for inefficiencies in policy wording, coverage and pricing. Once we understand the specific needs and goals surrounding your current placement, we aggressively advocate on your behalf, leveraging competition in the market, to deliver superior results. Veritext has led the industry in developing technology tools to help settle cases favorably or win them at trial. As the trailblazer in deposition solutions Veritext created the first web portal for transcripts and exhibits, the first virtual remote deposition platform, the first deposition exhibit presentation and capturing tool, the first truly interactive mobile scheduling, and have patented electronic exhibit management technology. Today, we offer a complete suite of technology tools backed by a skilled team to help our clients save time and money, create compelling trial clips, and stay productive while on the go. Veritext offers Court Reporting, Realtime, Videography, Videoconferencing, Video Synchronization, Remote/Internet Depositions, Native Evidence Capture and Touch Exhibit Display (for compelling trial presentations), MyVeritext online/mobile scheduling and secure and HIPAA compliant transcript and data repository, fully-appointed conference and deposition suites, mediation and arbitration support, and paperless exhibit solutions.